Summit Medical Group is looking for an Internal Medicine physician for an office in Knoxville, Tennessee. This opening is for an established and thriving office with a team of 14 physicians and 3 advanced practitioners. Summit physicians are dedicated to delivering comprehensive, compassionate primary care of the highest quality. value based care, HR, IT support, and many more! as outdoor activities such as hiking, boating and biking. Summit Medical Group is East Tennessee’s largest primary care organization with more than 325 providers and 60 practice locations in 14 counties. Summit also has four diagnostic imaging centers, a large central laboratory, eight physical therapy centers, three Summit express clinics, a sleep services center and a centralized care coordination team. Summit provides healthcare services to more than 280,000 patients, averaging over one million encounters annually. Summit Medical Group is ranked in the top 10 nationwide for all three NCQA categories and is a top performer in overall patient experience. Summit is known nationwide as a leader in medical management innovation and technology as well as population health. 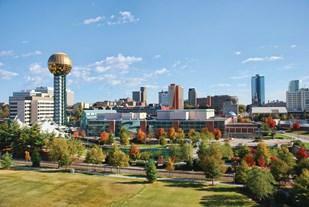 Knoxville offers a perfect mix of big city living, and small town feel. Knoxville is a progressive, friendly, and rapidly growing city accessible from an international waterway. It is situated at the foothills of Great Smoky Mountains National Park. Tennessee’s lakes, rivers and parks provide the perfect setting for outdoor activities. The fine arts thrive alongside regional crafts and sports share the spotlight with great musical attractions. East Tennessee has a thriving economy and great public and private school systems. Knox County Schools (KCS) hold an exemplary status awarded by the Tennessee Department of Education. KCS is the first large urban school district to ever earn this distinction from the state. Knoxville is also home to the University of Tennessee, a major SEC university. McGhee Tyson Airport, a beautiful, easy access airport, allows for uncomplicated travel and is within a 30 minute drive to downtown Knoxville.